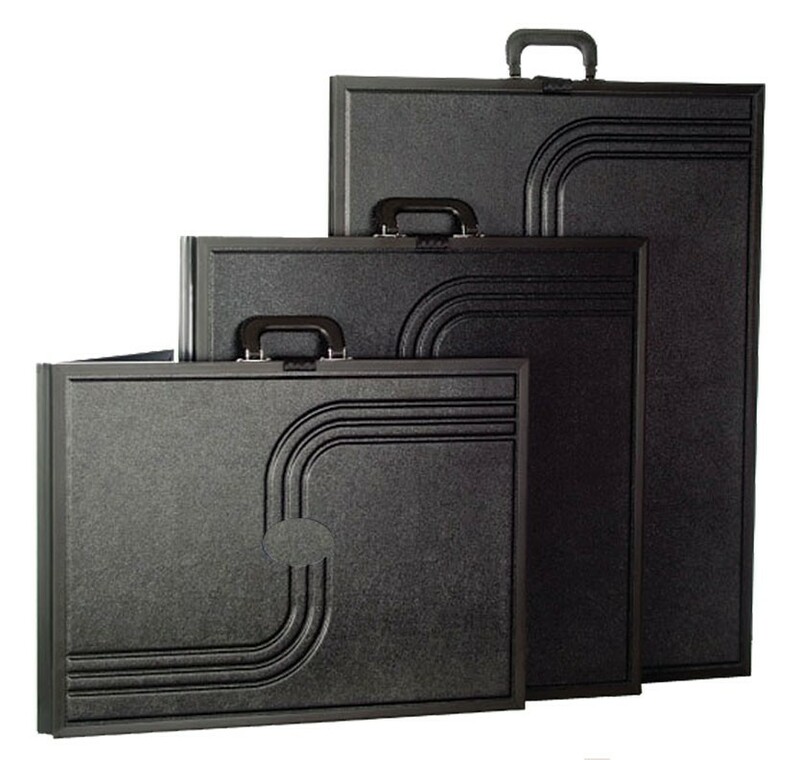 Voyager Briefcase Table Top Displays feature a rigid, thermo-formed exterior shell with black, velcro receptive fabric inside for mounting graphics. 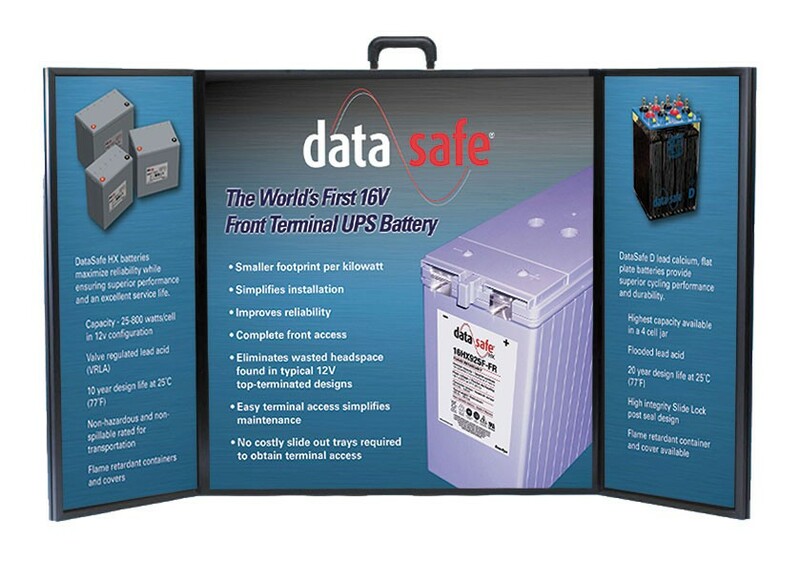 The Voyager Monster briefcase style table top display has a graphic area of 64" x 32". 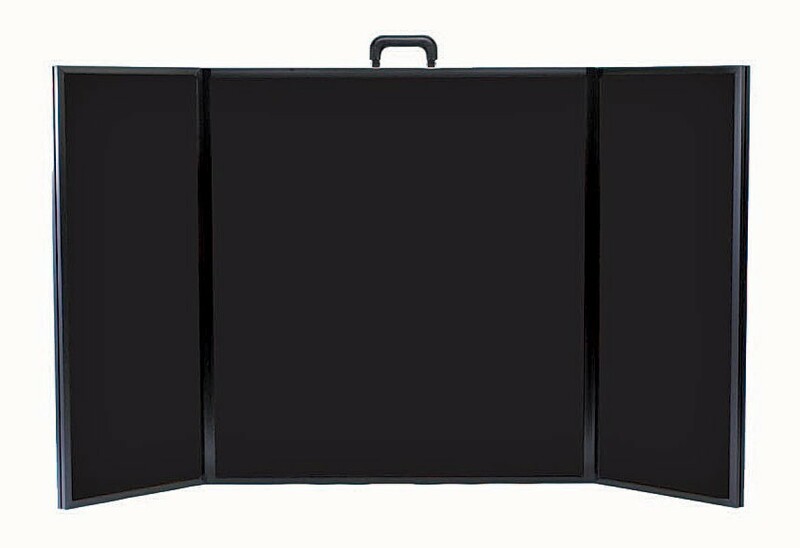 Voyager Briefcase Table Top Displays feature a rigid, thermo-formed exterior shell with black, velcro receptive fabric inside for mounting graphics. 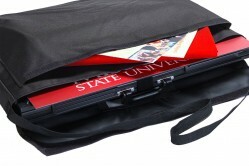 The side panels fold in and meet in the center of the larger middle panel and secure with a velcro strap for travel. Since the graphics can stay attached when packed, setup is just as easy. Excellent for presentations where a simple, lightweight and compact display is needed, the Voyager comes in five sizes to accommodate a range of uses. Header graphics are available as an option, and come in three different shapes, and attach with clips to the Voyager frame. It's important to note that the header graphics cannot pack with the Voyager and must be transported separately. The optional Voyager Travel Bag is recommended when purchasing a header, as the travel bag holds the Voyager with room for the header and additional literature, making the display much more convenient. The Voyager Monster briefcase style table top display has a graphic area of 64" x 32". The ShowStyle Pro 32 is a higher end briefcase display that comes with a header that packs with the display, and it's actually less expensive. It has a graphic area of 64" x 32". 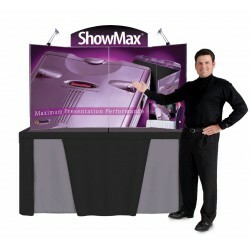 The ShowStyle Pro 32 is less expensive, making it an excellent option as it's also a higher end model. The Voyager Header is a nice addition, but we recommend also purchasing the Voyager Travel Bag if adding a header so that the display and header can be transported together. Exterior dimensions when folded: 32" x 32"
Side graphic panel dimensions: 14.625" x 30.625"
Shipping size: 34" x 34" x 4"